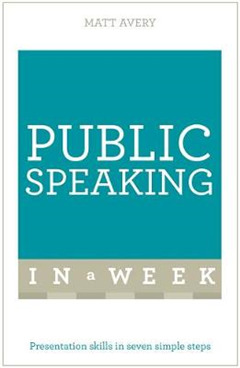 Public Speaking In A Week is a simple and straightforward guide to mastering the art of public speaking, giving you everything you need to know in just seven short chapters. From writing and delivering the content to handling your nerves and avoiding common mistakes, you'll discover how great presentation and public speaking skills can open doors for you in your career. 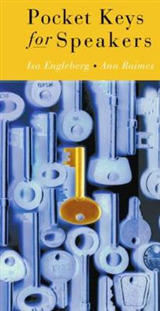 This book introduces you to the main themes and ideas of public speaking, giving you a knowledge and understanding of the key concepts, together with practical and thought-provoking exercises. 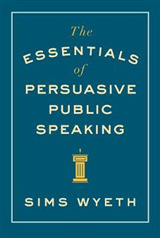 Whether you choose to read it in a week or in a single sitting, Public Speaking In A Week is your fastest route to success: - Sunday: Write a speech to which people will want to listen that is well-researched, uses stimulating content and is tailored to the needs of the audience - Monday: Learn how to use effective speaking techniques such as projection, commanding the space and interaction with your audience - Tuesday: Discover more advanced public speaking techniques such as using audio and visual aids, varying your pace, and adding tone and inflection - Wednesday: Ensure you are fully prepared through memorizing key points and rehearsing with others - Thursday: Control your nerves with relaxation techniques and confidence tricks of the trade - Friday: Engage with your audience by keeping to your script, making eye contact and varying your delivery - Saturday: Understand the common mistakes to avoid so that you won't lose your audience's attention ABOUT THE SERIES In A Week books are for managers, leaders, and business executives who want to succeed at work. From negotiating and content marketing to finance and social media, the In A Week series covers the business topics that really matter and that will help you make a difference today. 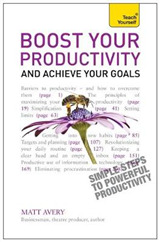 Written in straightforward English, each book is structured as a seven-day course so that with just a little work each day, you will quickly master the subject. In a fast-changing world, this series enables readers not just to get up to speed, but to get ahead.